Just in case its motion to vacate wasn't enough, Apple late Tuesday filed an appeal of a California judge's order requiring it to help the FBI defeat the password protection on the iPhone of one of the San Bernardino mass shooters. Apple's lawyers filed the appeal "in an abundance of caution," to cover the possibility that an appeal is the most appropriate way to oppose Magistrate Judge Sheri Pym's Feb. 16 order, they said in a court filing. An appeal and a motion to vacate have similar goals, but attack a judge's order in different ways. A motion to vacate asks a judge to withdraw her previous order; in this case, Apple asked Pym to reverse her Feb. 16 decision. An appeal is a request to a higher court to reverse the decision of a lower court. In this case, the appeal goes to a district court judge in the Central District of California. Apple has suggested it may appeal the case all the way to the U.S. Supreme Court if it loses in lower courts. Apple's lawyers on Tuesday also entered into evidence in Pym's court a New York court ruling from Monday against the FBI in a similar iPhone unlocking case. Pym's order has ratcheted up a year-and-a-half-long legal debate over the growing use of end-to-end encryption and other strong security features in smartphones and other devices. Encryption is increasingly hampering law enforcement efforts to investigate crimes and terrorism, FBI Director James Comey and other officials have argued. In the near future, criminals will be able to wall off entire sections of their lives that police don't have access to, even with a court-ordered warrant, Comey said Tuesday at a congressional hearing. Apple has opposed Pym's order, saying an order to break security features on one iPhone will endanger other devices if the code leaks out. The FBI's request in the California case will lead to many similar requests in other U.S. courts and in other countries, Apple has argued. At the request of the FBI, Pym ordered Apple to write new source code to defeat a password protection feature on an iPhone used by San Bernardino mass shooter Syed Rizwan Farook. 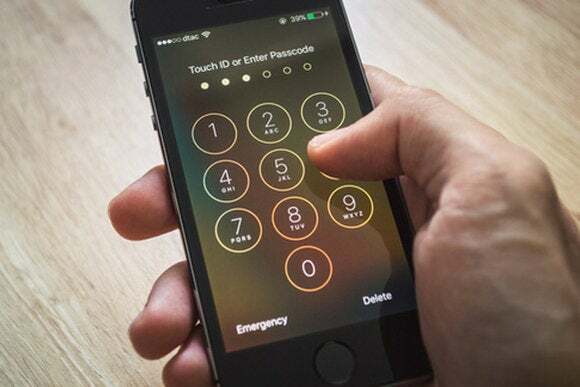 The FBI wants Apple to disable the phone's security feature that erases its contents after 10 wrong password attempts and also to defeat the phone's time delay between password-entering attempts. Without those security protections in place, the FBI could enter an unlimited number of passwords in a brute force attack and gain entry into the phone in a matter of hours.